and you can make a difference. To ensure that future generations will benefit from our commitment to women’s health issues, Dollars for Mammograms has established an endowment fund at the Gulf Coast Community Foundation. Managed with the expertise and stability. 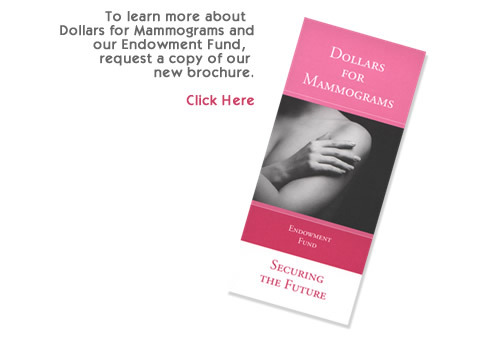 Dedicated to maintaining the excellence and quality of Dollars for Mammograms. And of course supporting our events is a wonderful way to help! A tax dedutible letter will be sent ackowledging your donation.